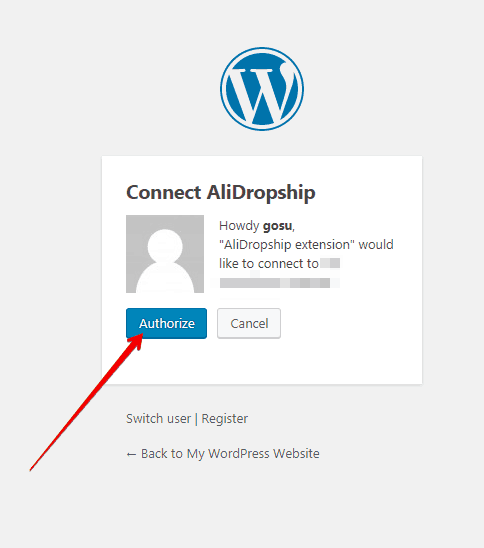 AliDropship plugin provides you with the possibility to keep your product details up-to-date. 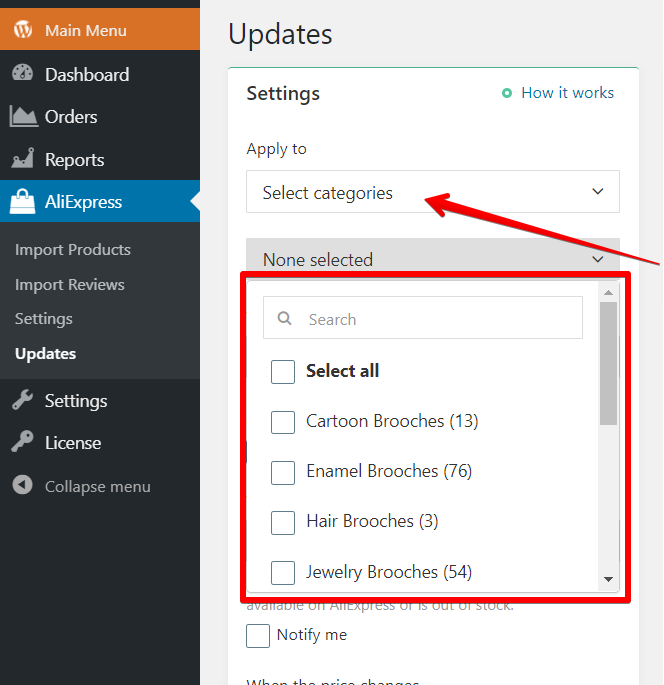 With the help of the Update option you can not only check availability of items on AliExpress, but also update product’s price, stock and variations. 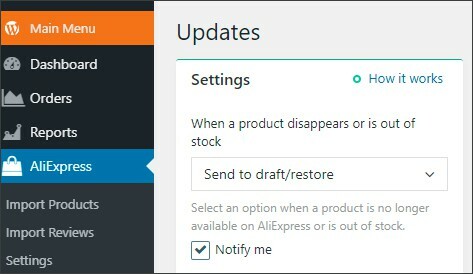 Go to AliDropship => AliExpress => Updates to adjust your update settings. 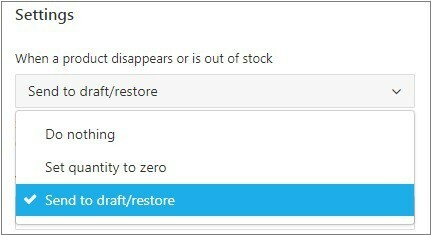 Send it to draft/restore. 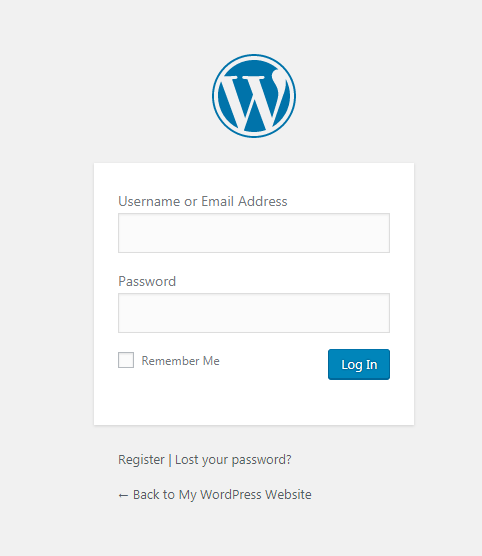 The product will be unpublished from your store and will be sent to draft. Once this product appears on AliExpress again, the plugin will restore and publish it automatically. Do nothing. The variation will remain unchanged in your store. Disable/Enable. 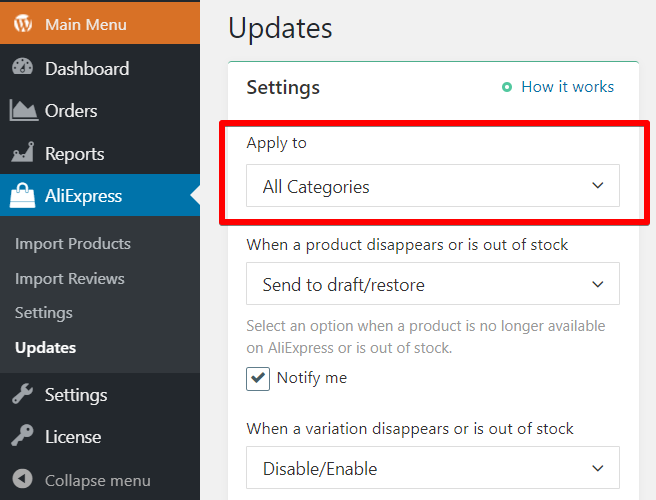 The variation that is no longer available on AliExpress will be disabled. The variation will be activated again once it appears on AliExpress. 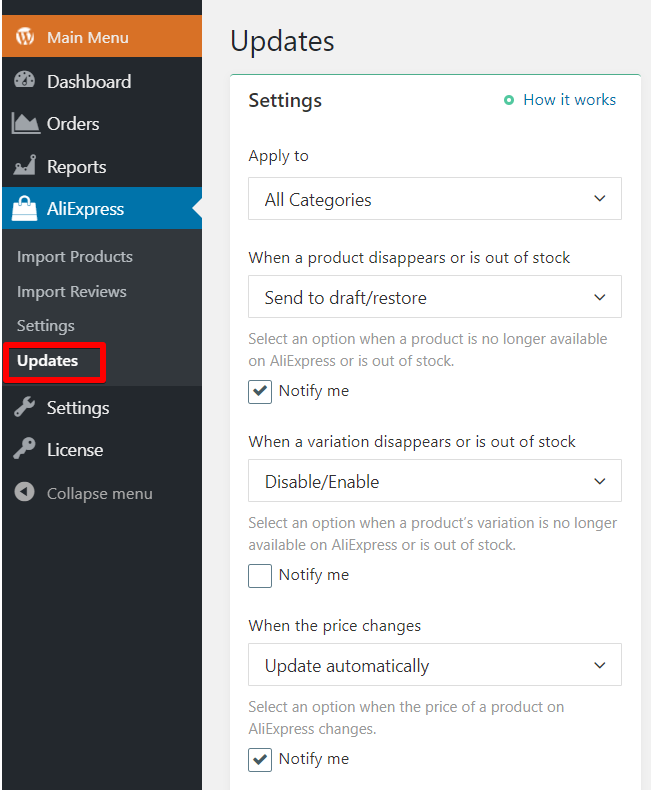 In case the product price or stock have changes, they can be either updated automatically or left as they are. On the right-hand side of the page there is the Product List bar available: you will be able to check product update progress. Click Update Now to start updating. You can also activate auto update. Go to AliDropship -> AliExpress -> Updates. Set auto update’s interval: once daily, once weekly or once monthly. 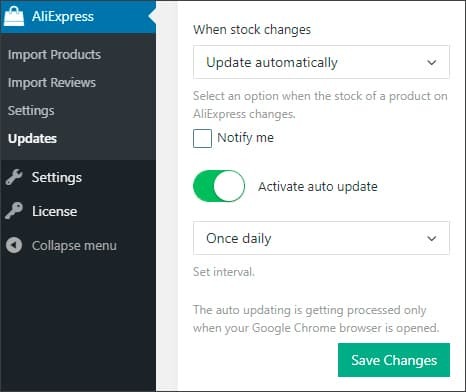 The auto updating is getting processed only when your Google Chrome browser is opened. 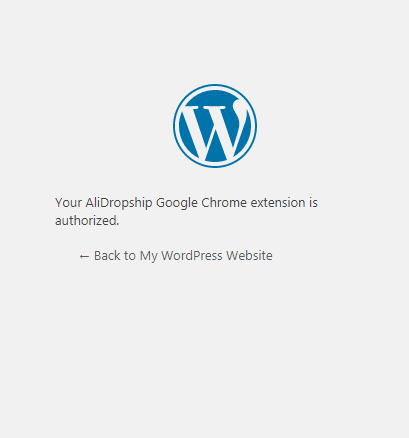 Only in this case there is a connection between your site and AliDropship Google Chrome extension.